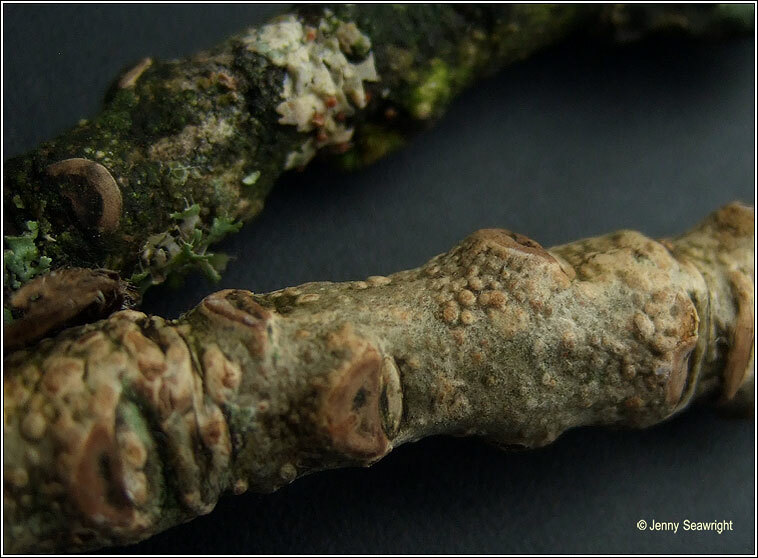 Photos: On Ash twigs. Co. Cork, SW Ireland. 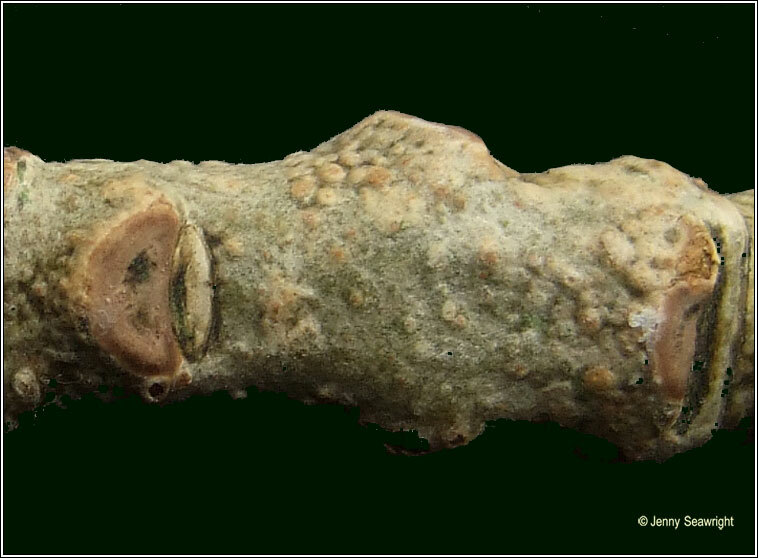 Inconspicuos, evanescent greyish thallus often forming small, roundish patches between other twig lichens. 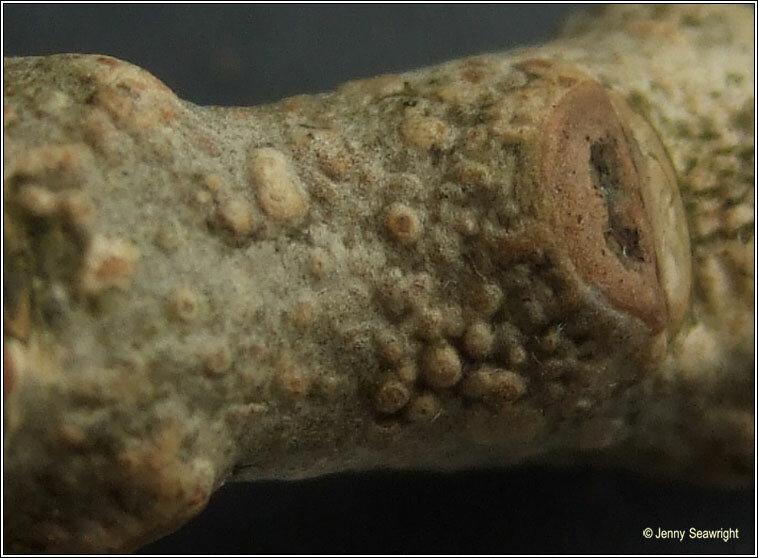 Tiny (0.2-0.5mm) crowded apothecia, discs flat, orange or dark brown, the margins slightly raised. 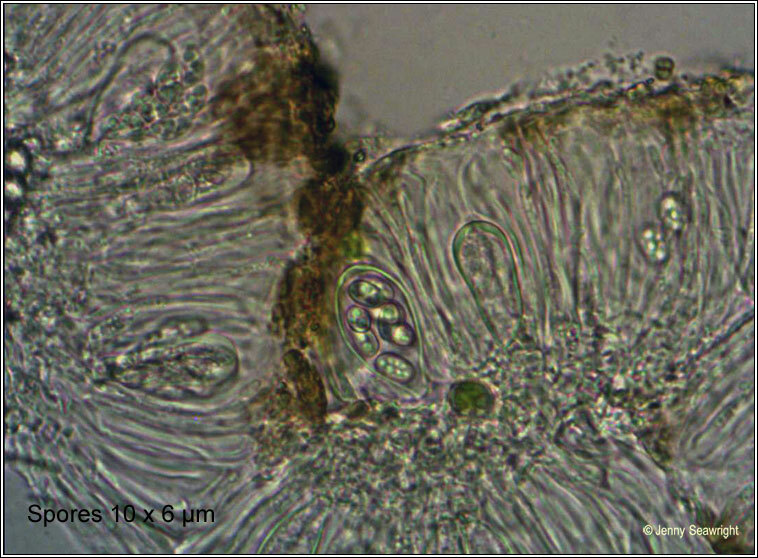 Ascus 8-spored, spores simple, 11-14 x 6-8 µm. Easily overlooked. Microscope photograph below. 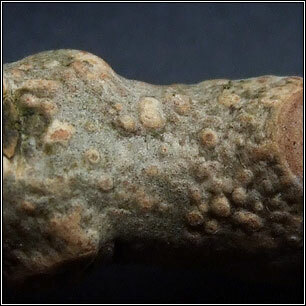 Pioneer species on twigs and small branches of neutral-barked deciduous shrubs and trees, especially Ash, Oak, Elder. Widespread but under-recorded. Chemical reactions negative.